Pretreatment evaluation of a disease means to evaluate a diagnosis in the individual patient according to which a proper selection of the type of treatment is indicated. In respect to ovarian dysfunction as a cause for infertility, the endocrine status has to be evaluated. Patients can be divided into oestrogen positive and oestrogen negative. In the last mentioned group further sub-grouping has to be done according to the FSH and LH concentration. For both oestrogen positive and oestrogen negative patients the prolactin and the androgen status as well as the thyroid function has to be tested. 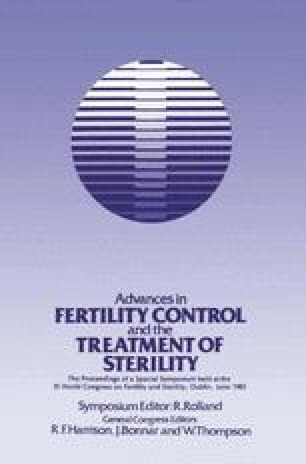 Having the information on the oestrogen, the gonadotrophin, the prolactin, the androgen and the thyroid status of the individual patient the basis for the selection of the type of stimulation therapy can be given.